Wood skirting is a beautiful way to add drama to your deck. Have your local deck builders add this feature for that perfect finished look. 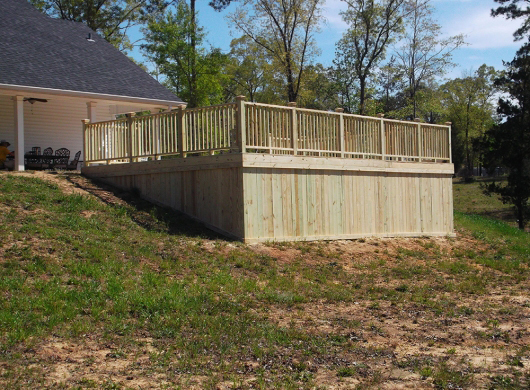 Once you see it with our Virtual Deck Builder, you will never want a deck any other way! Get in touch with a deck installer at the Ready Decks nearest you for a free estimate on your wood skirting project.